Many of us have been fascinated as children by soap bubbles and soap films. Their shapes and colours are beautiful and they are great fun to pay with. With no les intensity, scientists and mathematicians have been interested in the properties of bubbles and films throughout scientific history. 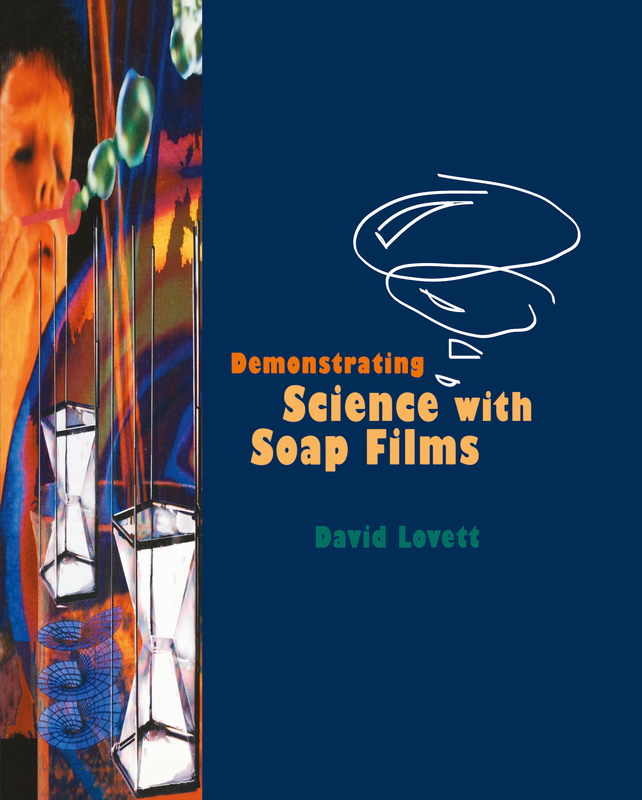 In this book David Lovett describes the properties of soap films and soap bubbles. He then uses their properties to illustrate and elucidate a wide range of physical principles and scientific phenomena in a way that unifies different concepts. The book will appeal not only to students and teachers at school and university but also to readers with a general scientific interest and to researchers studying soap films. For the most part simple school mathematics is used. Sections containing more advanced mathematics have been placed in boxes or appendices and can be omitted by readers without the appropriate mathematical background. * Over 100 diagrams and photgraphs. * Details of practical experiments that can be performed using simple household materials. * Computer programs that draw some of the more complicated figures or animate sequences of soap film configurations. * A bibliography for readers wishing to delve further into the subject. David Lovett is a lecturer in physics at the University of Essex. His research interests include Langmiur-Blodgett thin films and the use of models as teaching aids in physics. He has been interested in soap films since 1978 and has made a number of original contributions to the subject, particularly in the use of models which change their dimensions and their analogy with phase transitions. He has published three other books including ITensor Properties of Crystals (Institute of Physics Publishing 1989).